Real meat is highly palatable, but lower than meat meals in protein density. Meat meal is concentrated by cooking away water and some of the fat from fresh meat. Meat by-product meal is similar to meat meal, but sometimes contains other animal tissues. Plant protein is made by removing the starch components of certain grains or vegetables. 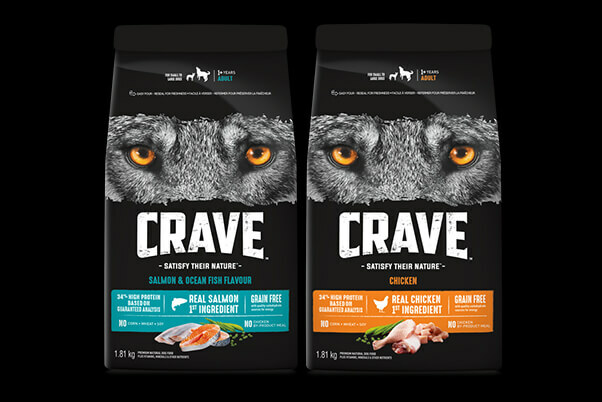 CRAVE™ recipes use a combination of animal and plant proteins to balance the amino acid levels in our dog food. 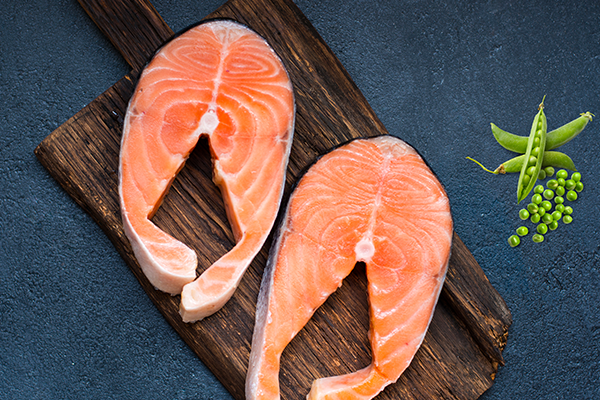 We use highly digestible, quality proteins from sources such farm-raised chicken and fish. 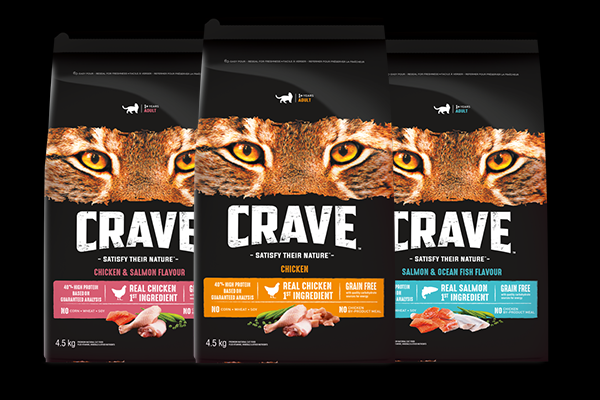 Find the right CRAVE™ dog food with high-quality proteins for your dog.